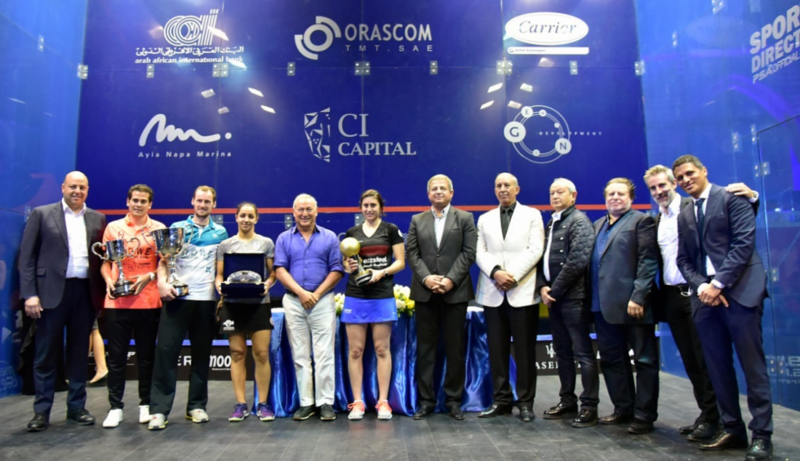 Nour El Sherbini retained her World Title with a straight-games win over compatriot Raneem El Welily in front of a full hous at the CI Capital Arena in Abu Tig Marina. All the games were close, but it was the 21-year-old world #1 who found the edge to finish each off. Greg claims the men title: Current world number one Gregory Gaultier was too good today for the man who will succeed him in May. The Frenchman beat reigning world champion Karim Abdel Gawad in straight games to leave the packed crowd at the Abu Tig Marina knowing that they will see just one Egyptian champion tonight, in the Women’s World Championship final which followed.